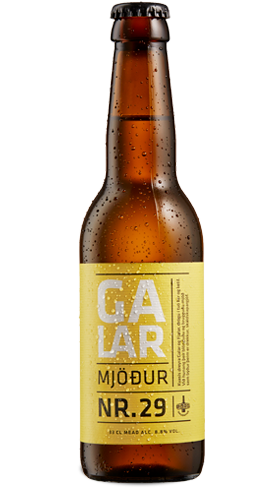 Galar is Borg’s second mead. Carbonated and clear-brewed with fruit honey imported from Spain. Unseasoned, but a sophisticated palate may detect an aroma of mint and vanilla. Sweet, yet dry. Galar is named after a dwarf in Norse mythology who along with Fjalar killed Kvasir, drained him of his blood and mixed it with honey to make the Mead of Poetry that was said to imbue the drinker with the gift of poetry and wisdom.